Top quality self inking stamp units with replaceable ink pads. A quick release latch holds the unit in the down position for easy mounting of the laser engraved die on the self stick area. The clear top lifts off to allow for display of a sample impression. 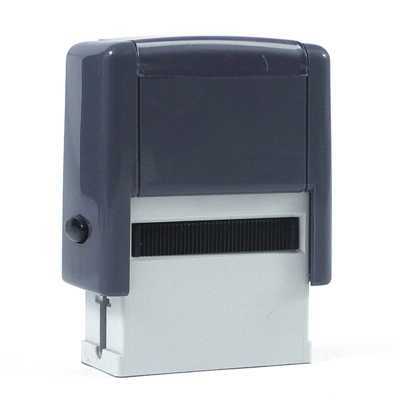 Self inking stamps come complete with black ink pad and box. Red ink pads are also available in the refill package.